…yes, it is not good. 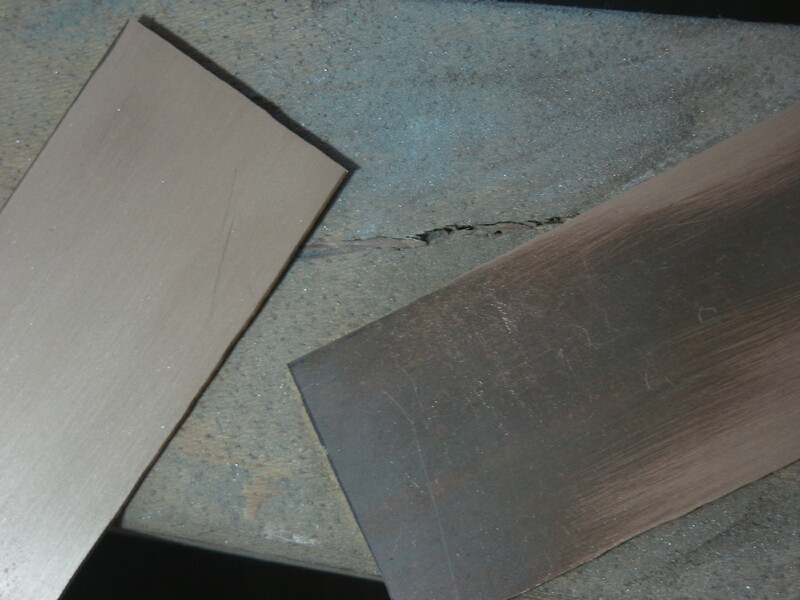 But, the other day last week was the first Mokume making day of 2014 for me!! A friend of mine (Thanks Dot! :)) let me use a kiln being set at her place and I fused (or ‘melted’ I should say..?) 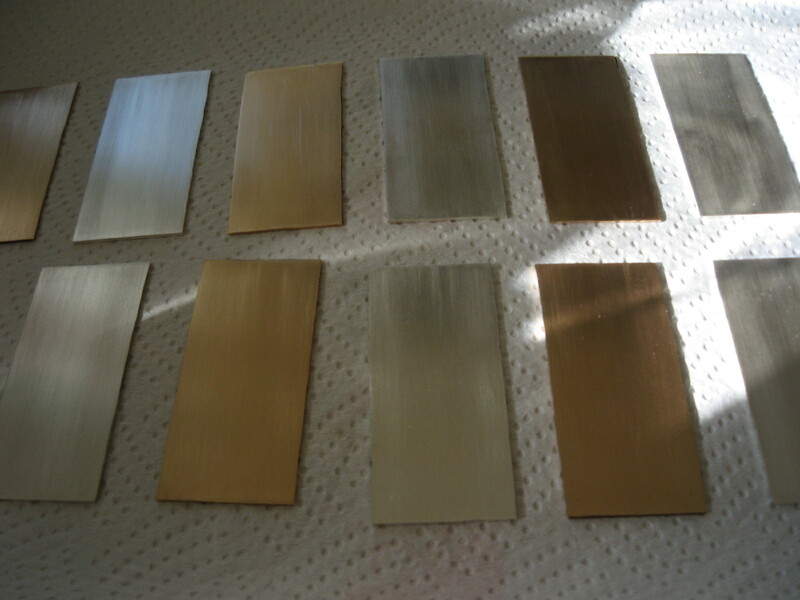 some sheets of silver and gilding metal. It always takes time to get to know how machines and tools work if you use them for the first time, and to me use of this kiln for the first time was no exception. The kiln was smaller than the one I used to use before, so it might heat up quicker than the one I was using at school, I anticipated. 2, Wash the metals with detergent and dry them. 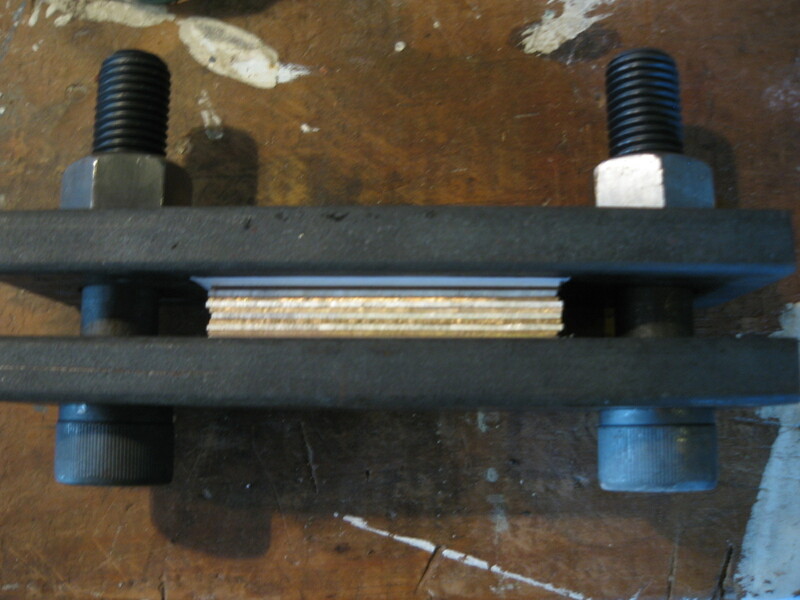 3, Set the layered metals in a clamp and also set a sheet of paper between metal and clamp. 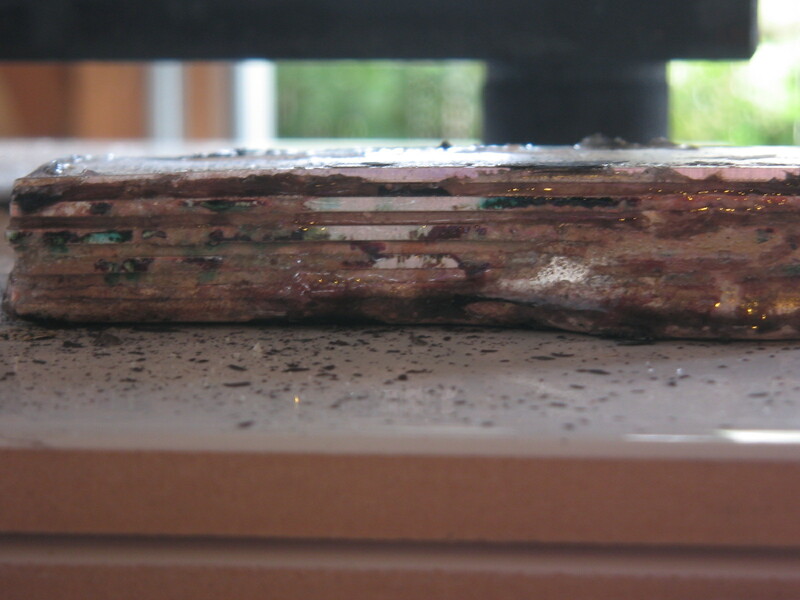 4, Cover layered sheets of metal with flux. 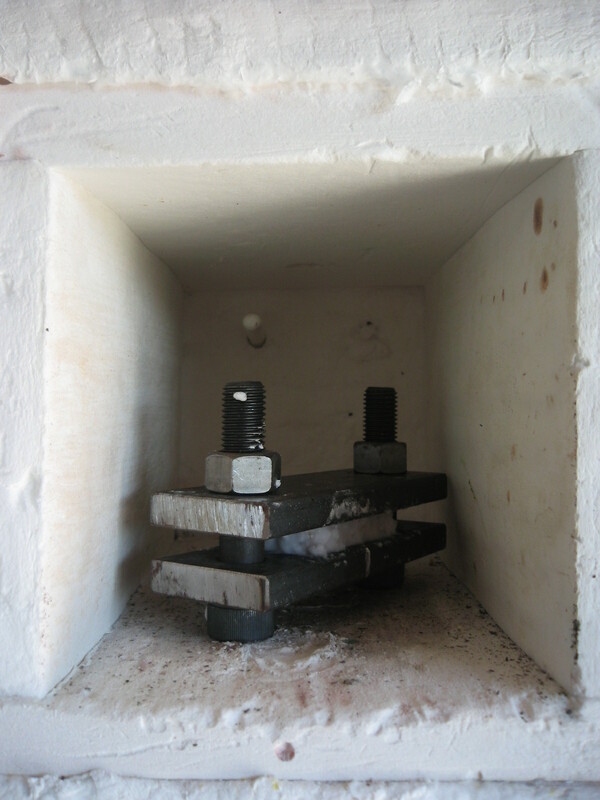 5, Set the clamp in an electric kiln. Heat the kiln slowly starting from 650° up to 770° as it takes 1 hour. At this stage, the colour of the clamp is dull red. And then, heat up the temperature of the kiln gradually. 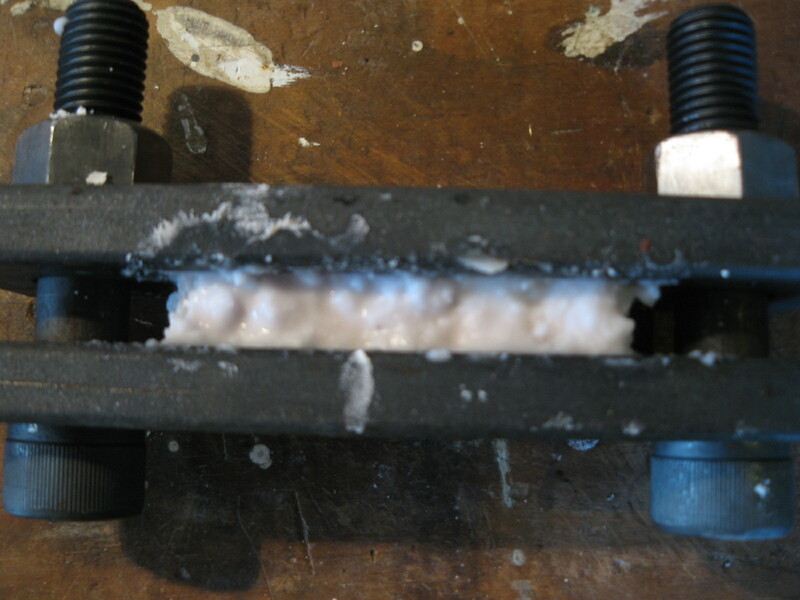 About 2 minutes later I saw the orange colour in the clamp at 830°, I saw some molten metal between the clamp. So I turned the power off and let it cool down. 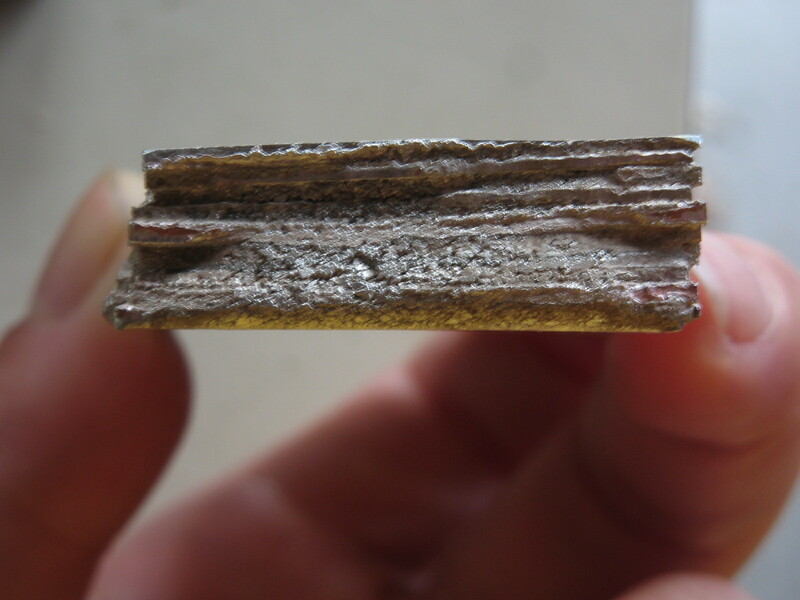 7, The billet after being fused (OR melted down..). (Another look from the other side) You can see a large amount of metal has flowed out. Another look again. 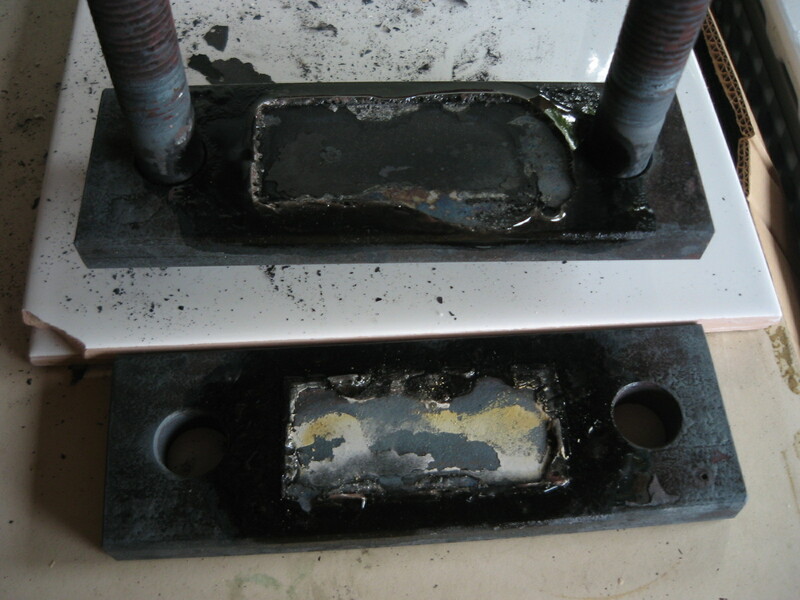 You can see there are gaps or holes in alloy which was created by this fusing process. At this stage, I do not know if this fusing process succeeded or not. 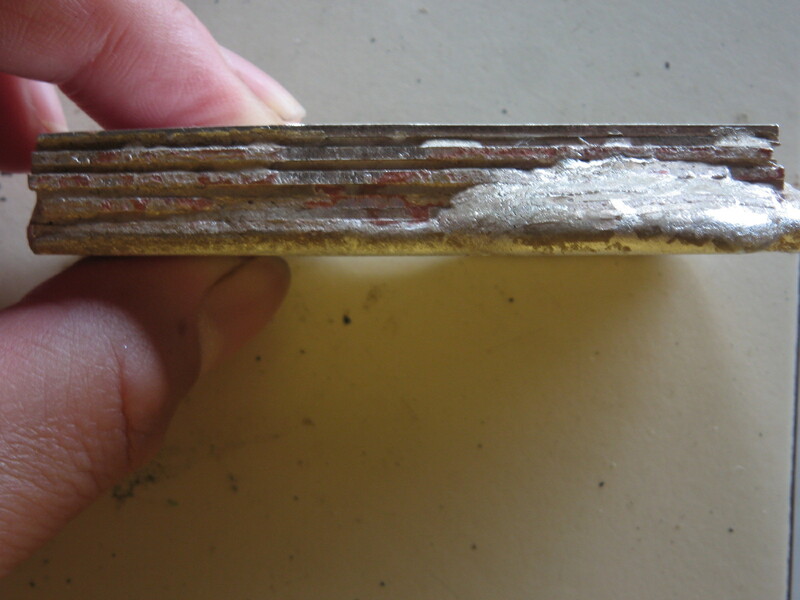 Fingers crossed, and hopefully I will be able to work on this Mokume making soon. Good answer back in return of this issue with genuine arguments and describing all about that.